The SBA All-Stars Street Ball Show Tour will head to Baltic Europe this October for a 3-city tour with games being held October 13th in Vilnius, Lithuania (Siemens Arena), October 15th in Tallinn, Estonia (Saku Suurhall Arena), and October 17th in Riga, Lativa (Riga Arena). This October the number one street basketball entertainment show in the world is going to play in the Baltics for the first time. The TrioBet America Streetball Show Tour will feature former street basketball players from the “AND1 MixTape Tour” and other street ball legends such as Philip “Hot Sauce” Champion, Robert “50” Martin, David “Da Aggressor” Bailey, Patrick “Pat Da-Roc” Robinson, Marvin “High Rizer” Collins, Hugh “Baby Shaq” Jones, Zeke “SuperNatural” Scott, and Kareem “Air Bama” Ward. 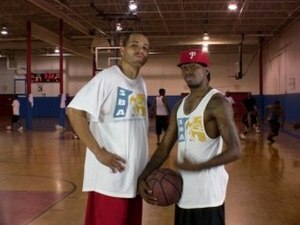 The tour will showcase the amazing athletic talents of some of the top professional street ball players in the world. Incredible leaping ability, thunderous dunks, ankle snapping crossovers, and a variety of creative free-style dribbling and passing will be on display giving the Baltic audience in Europe an opportunity to witness for themselves in front of their own eyes, live, raw and uncut. The SBA looks forward to the upcoming tour, as Europe continues to be hot bed of very talented basketball players and antipciate an outpouring of energy and enthusiasm from the Baltic Europe fans as this will be the first time they will witness their favorite street ball players live in front of them instead of on the television or internet. 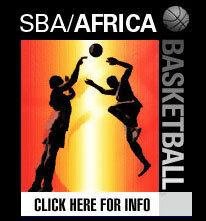 Founded in 2001, the SBA has spearheaded the growth and development of the street ball industry globally producing countless events throughout the United States, South America, Europe, Asia, and Africa from tours, shows, and demonstrations, to competitions, clinics, and expos entertaining and educating fans worldwide. With the SBA, TiroBet and KRT Events has aligned itself with the explosive growth of street ball working with an organization that continues to be a valuable asset for top businesses, companies, promoters, sponsors, and teams and leagues in the world seeking basketball/street basketball consultation development, and event management and marketing support. During the TrioBet America Streetball Tour the SBA will feature the SBA Show and Expo, a one-of-a kind fan interactive entertainment attraction and marketing vehicle that consists of slam-dunking and free-style dribbling demonstrations, shooting contests, fan interactive autograph and photo sessions with the SBA All-stars, and the turn-key SBA Show Entertainment Exhibition featuring the SBA All-Stars. "The Show" will further promote the authenticity surrounding the best professional SBA Street Ball All-stars recreating the atmosphere similar to the legendary Rucker Park in New York City and the Urban Coalition in Washington, D.C. The Show combines the SBA's electric brand of street ball with hip-hop music to create a model unlike any other basketball entertainment product. The SBA All-stars have been featured on ESPN Street Ball, ESPN City Slam, NBA TV, MTV, EBC Rucker Park, Hoops TV, Nike BattleGrounds, AND 1 Tour, Slam, and Dime Magazine.